We have had a lot of people ask about a date for 2016. I spoke to Down Festivals a few days ago and they are not ready to confirm the dates this year just yet. A few things just need to be finalized and confirmed. The Provisional date from Down Festivals is in early August, this was stated on their Facebook. but as said that is not confirmed just yet. Team RaVen are also booked for the date. We are holding off posting the provisional date, as you know things can change. We don’t want to tell you a date, and people book accommodation etc only for it to change. I do believe the date is locked in, especially with aircraft booked for that date. As soon as it is confirmed we will post ASAP. 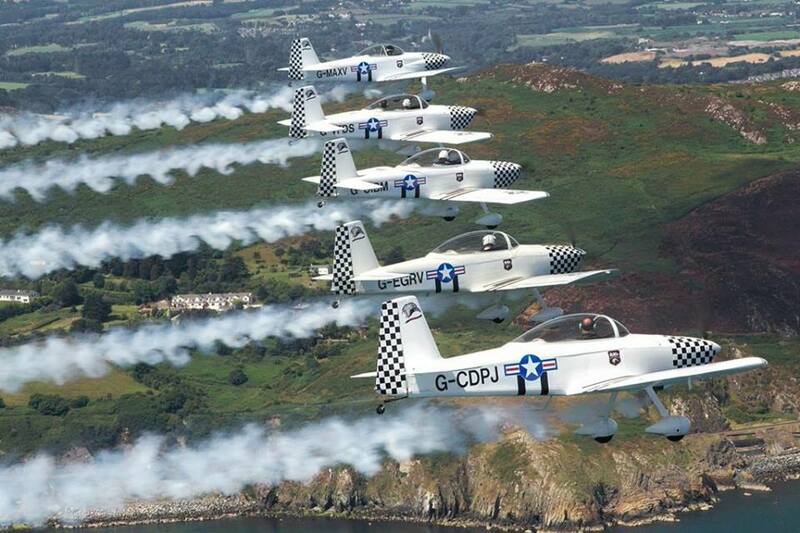 Team Raven (A 5 ship Aerobatic formation display team with 1 RV4 and 4 RV8 aircraft. ) have confirmed on their Facebook they will display at Newcastle. Formed in 2014 and now in their 3rd display season they will be making their return to Newcastle having displayed in 2015.